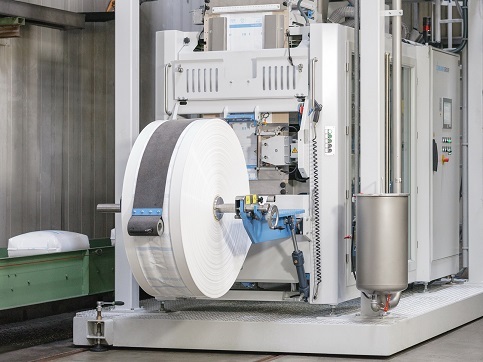 BEUMER Group introduces the BEUMER fillpac FFS form fill seal system for both the high-capacity range of up to 2600 bags per hour and for low throughputs starting from 1800 bags per hour. Depending on the customer requirements the suitable machine performance class can be selected from the extended product range. The company develops entire packaging lines from one single source for the petrochemical industry. This means the customer can reduce the number of vendor interactions as only one point of contact is required. The system supplier dimensions the performance of the single machines and components, as well as the high-level control in an optimum way, providing the customer with maximum throughput. As a system supplier, BEUMER expanded the fillpac FFS form fill seal system product family in order to offer even more tailored solutions for specific applications. Depending on the requirements, the suitable machine performance class can be selected from the extended product range. "We offer an easy-to-clean solution for the low-capacity versions," said sales engineer Christian Freise. Special products in particular and other colored granules are handled at lower capacities. Fine dust is often a by-product when filling granules into bags. Another disadvantage is that small granules can get stuck in the machine. When using the BEUMER fillpac FFS, the users can simply clean the machine with water before a color change. "The round scale we provide is designed so that residues can be removed more easily," said Freise.